Shocking and traumatizing a generation of TV watchers, Threads is a 1984 made-for-TV film that originally aired in the U.K. and later in the U.S. A fictionalized (but not totally unrealistic) take on what would happen before, during, and after a nuclear attack, it’s known today as one of the darkest and most frightening looks at the subject matter, particularly for a TV movie. Long out of print on home video, it makes its timely return thanks to Severin Films, reminding us of the potential of what nuclear Armageddon has to offer should it occur. Director Mick Jackson (who later directed L.A. Story and The Bodyguard) helmed this tale of humanity’s possible woe with a script by Barry Hines (Kes). Shot quickly with a group of primarily unknown actors, it made waves almost immediately upon its initial broadcast. It was well-publicized and talked about in its native country as it practically scared the pants off of most of the people who saw it, especially children and young adults. It was later nominated for seven BAFTA awards the following year, winning four for Best Design, Best Film Cameraman, Best Film Editor, and Best Single Drama. Although American audiences did eventually see it, The Day After eclipsed Threads in the states because it also aired on network TV, whereas Threads only aired on PBS. No matter how you slice it, films about this subject matter are going to be difficult to watch. Threads is indeed that, from the first frame onwards. Knowing what’s going to happen doesn’t soften the blow either – it only makes the inevitable nail-bitingly dreadful. Watching individual people be subjected to one of the most horrible things imaginable and then following whomever is left makes for a very downer of an experience, but an important one. Told in almost documentarian way, even with narration, it feels like a piece of history – like it actually happened, which makes it that much more potent. The performances from everybody involved feel genuine, and there isn’t a moment where you feel any sense of irony about it all. This is serious business, and the film doesn’t have any other purpose than to scare you. It was created as a warning to those who watch it. Unfortunately, Threads is not a film that feels of its time either. It’s more relevant than ever. With the threat of nuclear war still present in our lives, it’s likely to never feel out of touch or old-fashioned. I personally consider it to be one of the most affecting films I’ve ever seen, the kind that will linger with you for days afterwards. I can only imagine how younger viewers must have felt when it originally aired. Threads makes its Blu-ray debut from Severin Films in an edition worthy of the film’s legacy. According the back cover, the film has been “fully restored from a 2K scan for the first time ever.” Anyone expecting this transfer to be pristine is likely to be disappointed as it’s definitely rougher-looking than most HD presentations. It’s a very natural and film-like presentation, but is uneven in a few areas. Colors are mostly absent as the film’s visual style doesn’t allow for them, while black levels are often crushed with a lack of shadow detail, depending on the scene at hand. It’s not an overly sharp presentation either and grain clumps together during certain scenes but resolves fairly well in others. Overall contrast and brightness is satisfactory and nothing was apparently done to digitally enhance it. Stability is rarely an issue, but the frame is often filled with speckling, dirt, and scratches. The audio is presented via an English 2.0 mono DTS-HD track with optional subtitles in English SDH. This track doesn’t offer a whole heck of a lot of fidelity as its quite narrow without any real boost, even during explosions, but dialogue is clear for the most part. It doesn’t offer much spatial activity either, which judging by where it was originally due to be shown, isn’t much of a surprise. However, it’s still a good track that doesn’t impede the presentation as a whole. This release also offers up some substantial extras that are definitely worth checking out if you want to learn more about the making of the film. 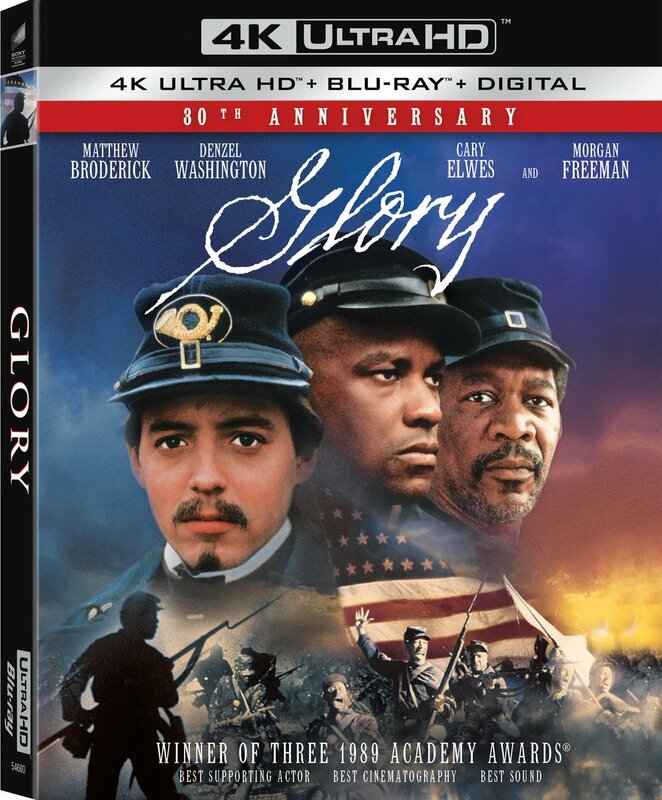 Things begin with an audio commentary by director Mick Jackson, which is moderated by author Kier-La Janisse and David Gregory from Severin Films, offering up plenty of production and post-production details. Next is Audition for the Apocalypse, an interview with actress Karen Meagher in which she tells of her experiences making the film, which were positive. Following that is Shooting the Annihilation, an interview with director of photography Andrew Dunn who offers his thoughts on the film, and Destruction Designer, an interview with production designer Christopher Robilliard. My favorite extra that’s been included is Stephen Thrower on Threads, who is always a welcome sight. He goes over the history of the production and the people involved with it, as well as his feelings about the film itself. Last but not least is the film’s U.S. trailer and Severin Films’ re-release trailer. Alarmingly realistic, Threads is an experience that I would only recommend to certain types of film fans, if anybody. It’s a challenging piece of work, to say the least, and holds up powerfully almost 25 years later. Severin Films’ efforts at resurrecting this piece of TV history are to be commended. 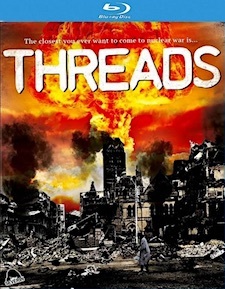 They’ve put together a fine package with quality extras that give us plenty of insight into a time when something like Threads was able to air on network TV without any real controversies. May I also recommend a good stiff drink after watching it – perhaps some cartoons.